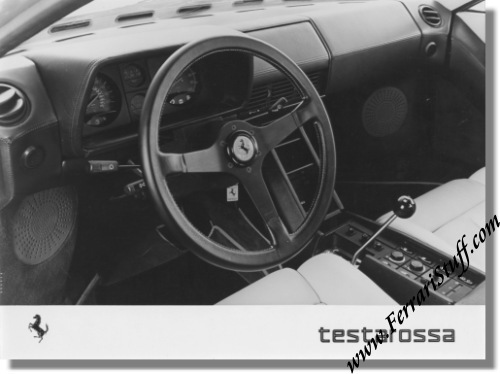 1986 Pininfarina Press Release on the Ferrari TestaRossa and the world debut of the Ferrari GTB Turbo. 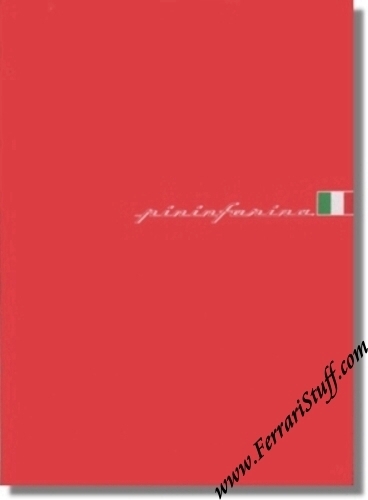 This is a vintage Pininfarina factory press release dating from 1986, issued at the 61st. 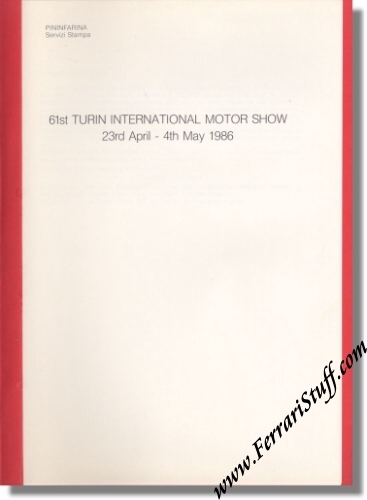 Turin International Motor Show on April 23rd - May 4th, 1986. It comes in a red portfolio and contains 1 page of text + 1 small format Pininfarina B&W press photo of the Testarossa + 1 medium sized B&W press photo of the Testarossa with contact details for "Opus Public Relations" in the UK on the back + 3 large format Ferrari factory B&W press photos of the Testarossa.